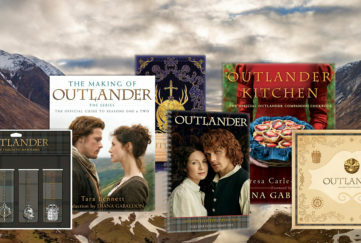 Featuring the lyrics to a song from our favourite Sassenach, Claire, as she appears in season one of Outlander on her search for a captured Jamie. Ladies Tshirt available in white, brown or ash grey. Unisex Tshirt available in white or ash grey. 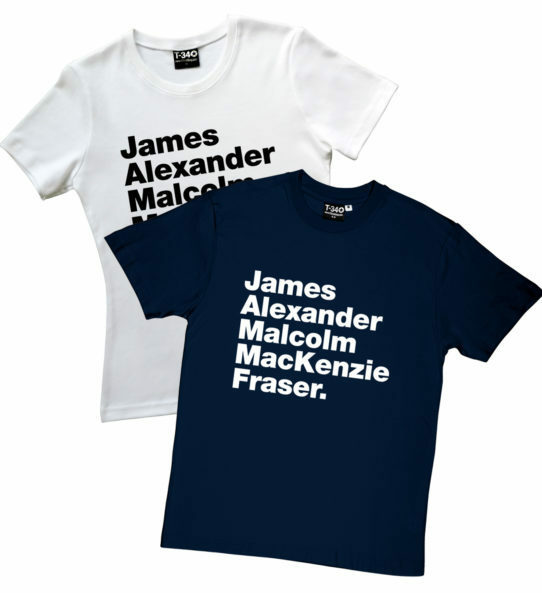 James Alexander Malcolm Mackenzie Fraser. Enough said. This T-shirt is available in black, white (Ladies sizes only), navy or ash grey. For Ladies sizes click here. 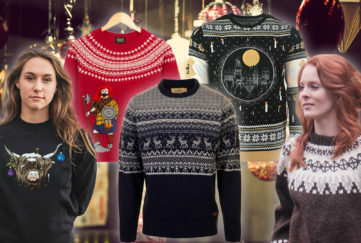 For Unisex sizes click here. 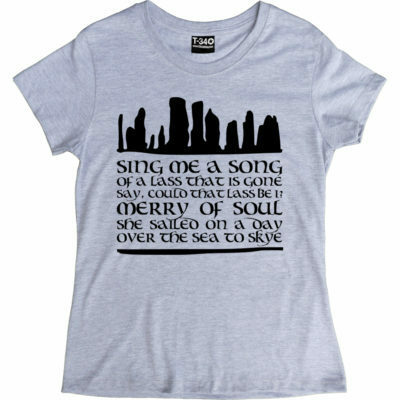 This t-shirt features the Outlander theme song under mystic standing stones. 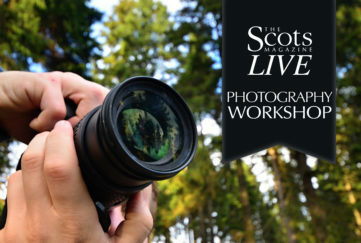 The song is an adaptation of Robert Louis Stevenson’s 1892 poem set to the music of the Highland folk song the “Skye Boat Song”. Available in black, white, navy or ash grey. 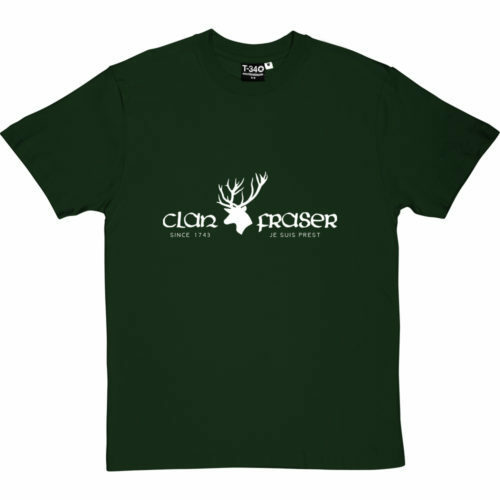 Show your support for Clan Fraser with this t-shirt! 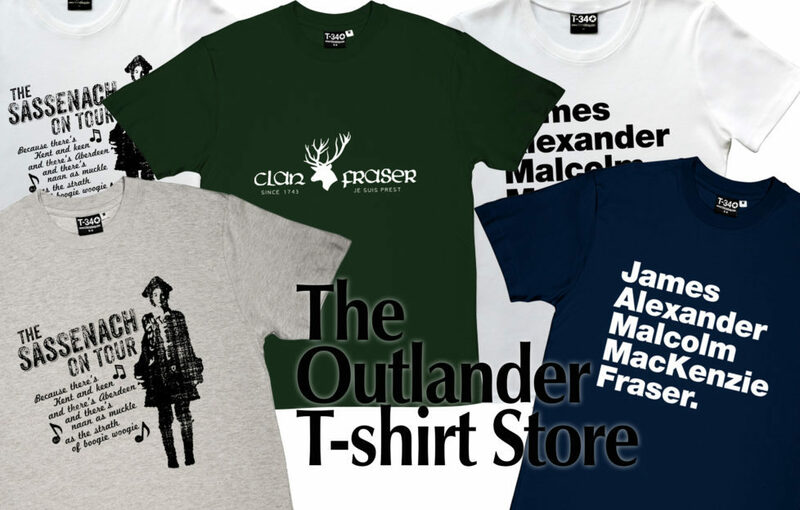 Featuring the Fraser clan emblem and motto “Je suis prest”. 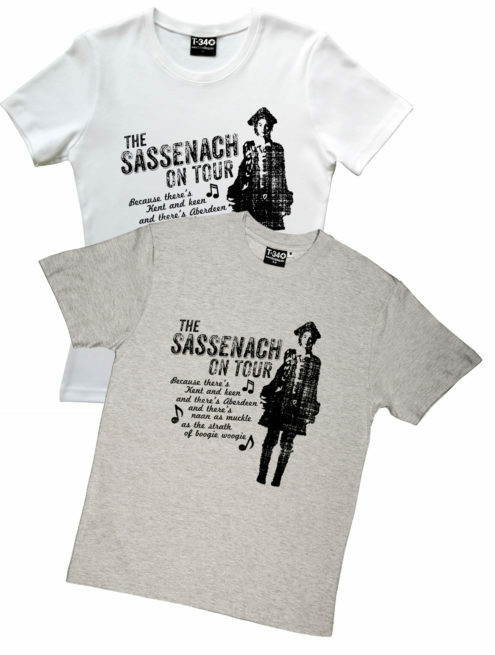 This T -shirt comes in an attractive bottle green shade, available in unisex sizes. 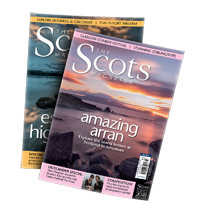 Check out more Scottish gifts here!